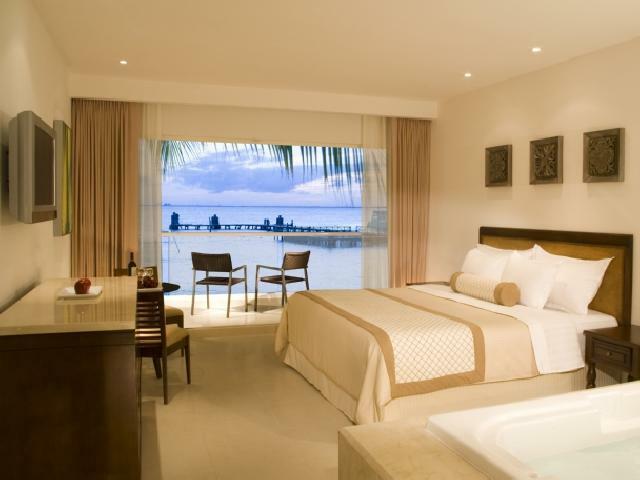 This intimate haven for couples only was once a sanctuary to Ixchel, the Mayan goddess of childbirth and medicine. 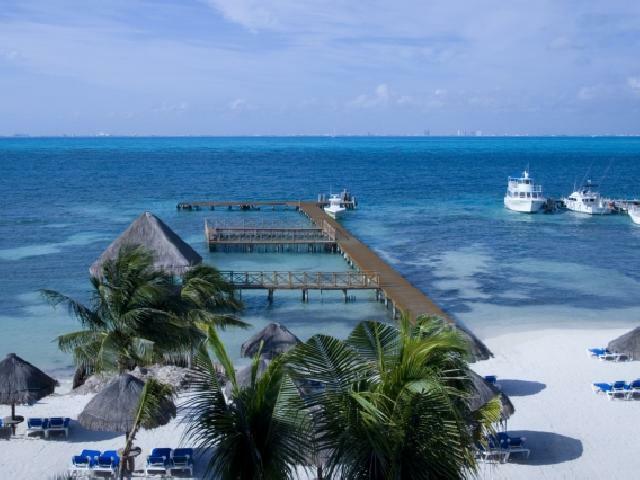 Isla Mujeres, which translates to the Island of Women, offers scenic views, tranquil beaches, marine parks, and sculptured cliffs, which is nature at its best. 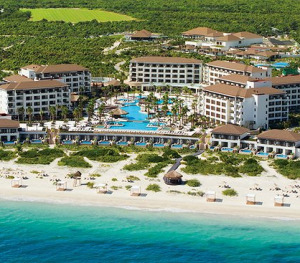 Small and luxurious, this all-inclusive couples-only resort is sure to guarantee a very private and relaxed vacation. If you thought small island, high-end design, luxury and comfort cannot co-exist, think again. 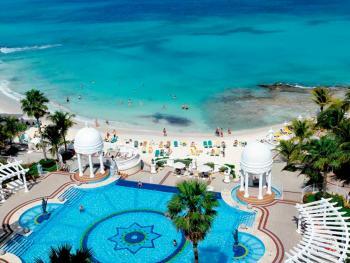 Isla Mujeres Palace reunites all these qualities throughout its 62 rooms and facilities. 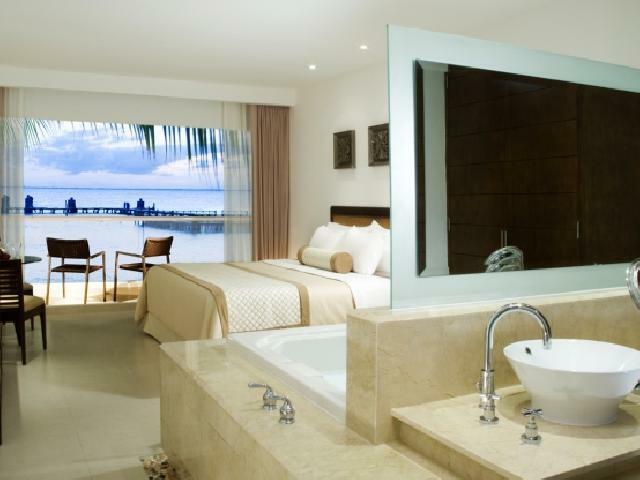 Everything in this cozy property has been designed to please the most discerning traveler. If you thought small island, high-end design, luxury and comfort cannot co-exist, think again. 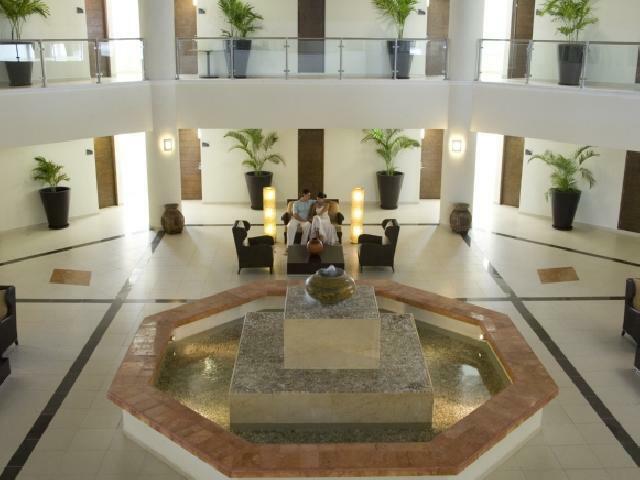 Isla Mujeres Palace reunites all these qualities throughout its 62 rooms and facilities. 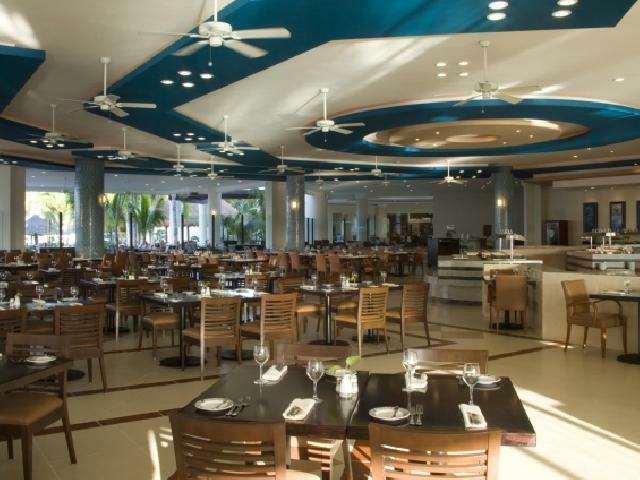 This restaurant offers international cuisine buffet-style for breakfast and lunch each day. 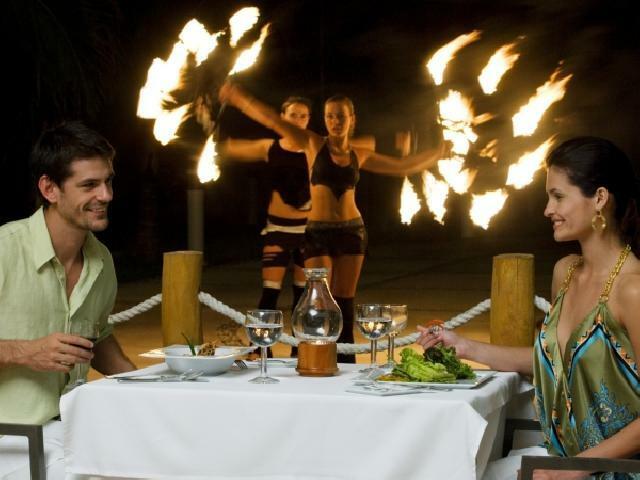 Dinner is served a la carte from 6 to 11 pm each evening. 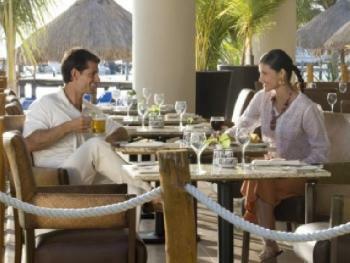 Serving snacks and beverages from 11 am to 6 pm daily. Serving drinks as well as continental breakfast and snacks.